Vietnamese photographer Tran Viet Van has received an Honorable Mention in the professional Fine Art category at the seventh annual Prix de la Photographic in Paris. The photograph, titled War Commander, was selected from thousands of entries from over 85 countries. This is the fifth consecutive year that Van has received an award at the Paris photo competition, one of the most prestigious in Europe. War Commander, one of a series of five photographs, was entered in the concept photo category. The series also received an honorable mention at the Czech Republic’s third annual photo awards last month. 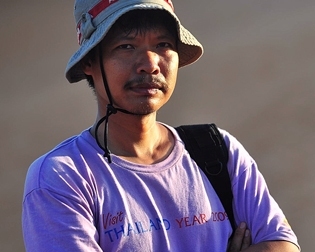 Van is a photographer and journalist with the Lao Dong (Labour) newspaper.